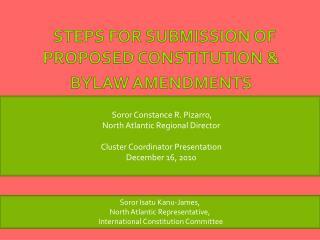 Soror Constance R. Pizarro, North Atlantic Regional Director Cluster Coordinator Presentation December 16, 2010. 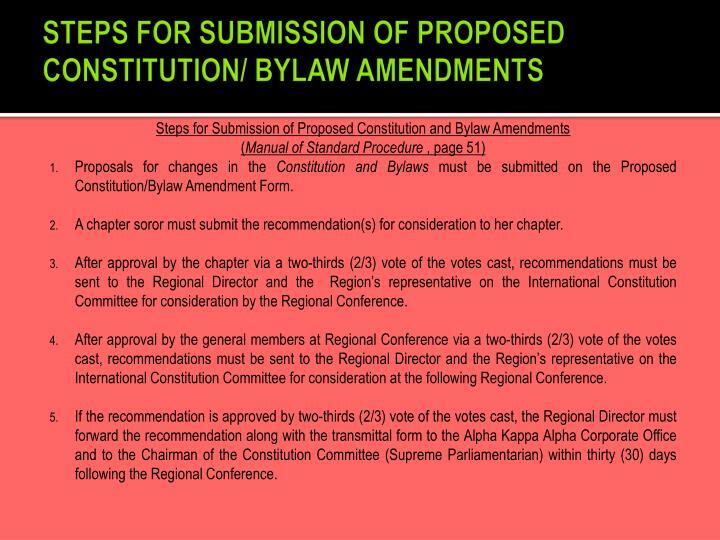 STEPS FOR SUBMISSION OF PROPOSED CONSTITUTION & BYLAW AMENDMENTS. 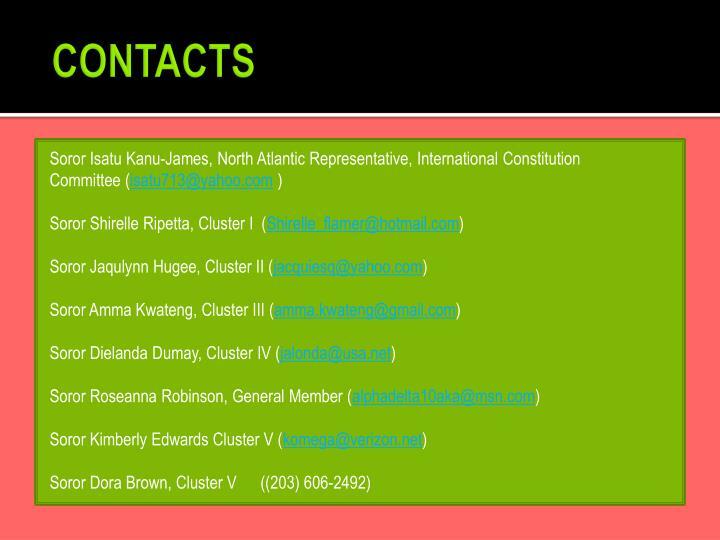 Soror Isatu Kanu-James, North Atlantic Representative, International Constitution Committee. 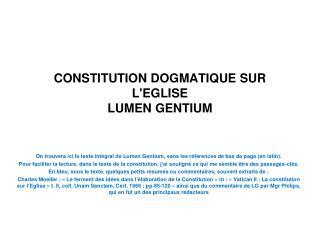 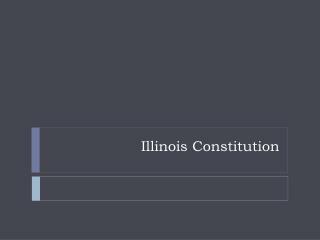 Amending the Constitution – See Constitution, Article VIII , Section 1, subsection a), page 5. 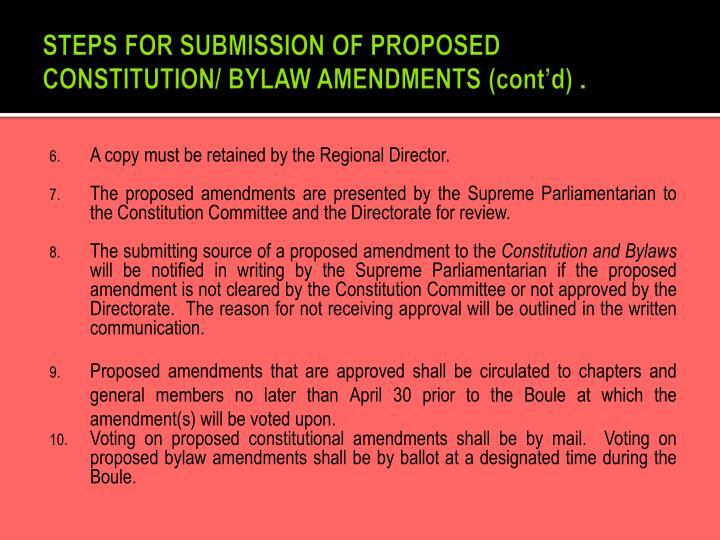 Amending the Bylaws- SeeBylaws, Article XIII, Section 1, subsection a), page 56. 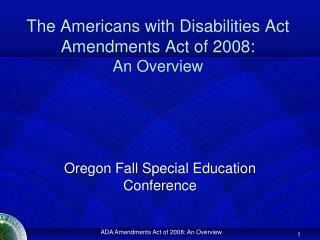 Director within thirty (30) days following the conference. 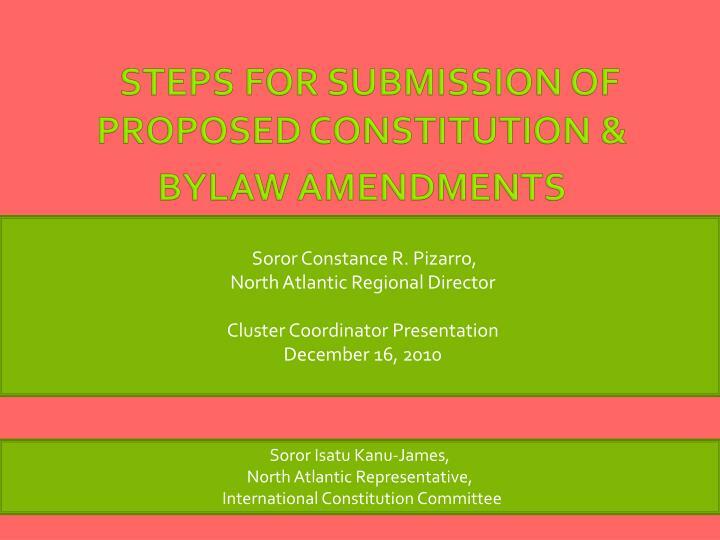 Proposals for changes in the Constitution and Bylaws must be submitted on the Proposed Constitution/Bylaw Amendment Form. 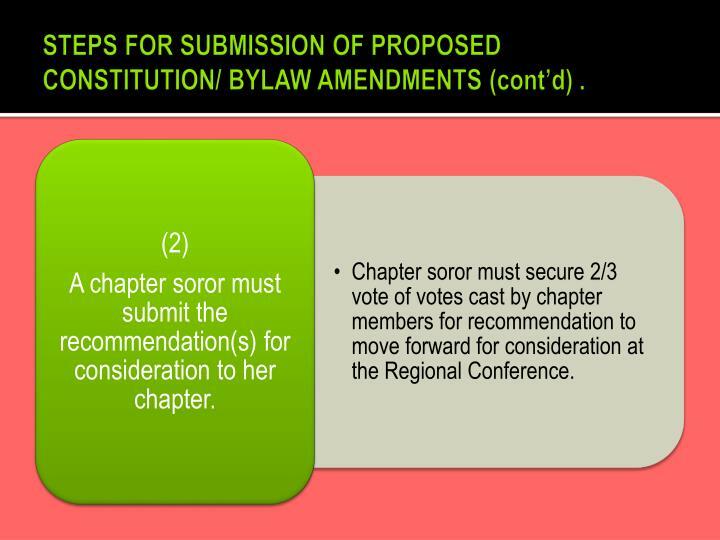 A chapter soror must submit the recommendation(s) for consideration to her chapter. 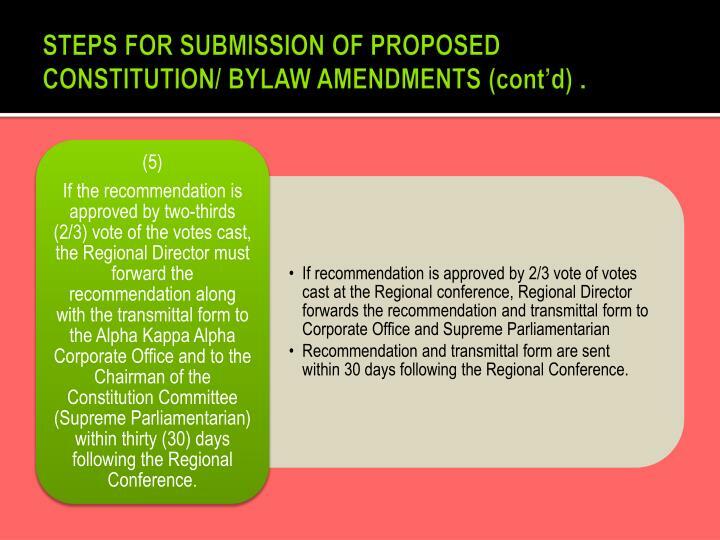 After approval by the chapter via a two-thirds (2/3) vote of the votes cast, recommendations must be sent to the Regional Director and the Region’s representative on the International Constitution Committee for consideration by the Regional Conference. 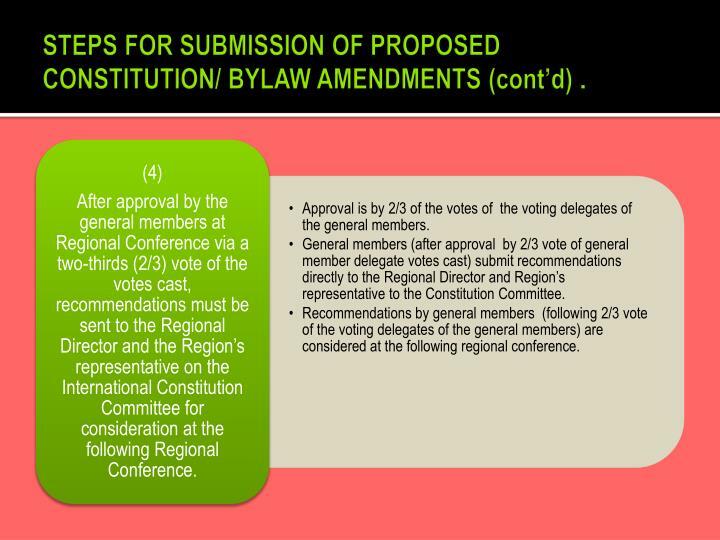 After approval by the general members at Regional Conference via a two-thirds (2/3) vote of the votes cast, recommendations must be sent to the Regional Director and the Region’s representative on the International Constitution Committee for consideration at the following Regional Conference. 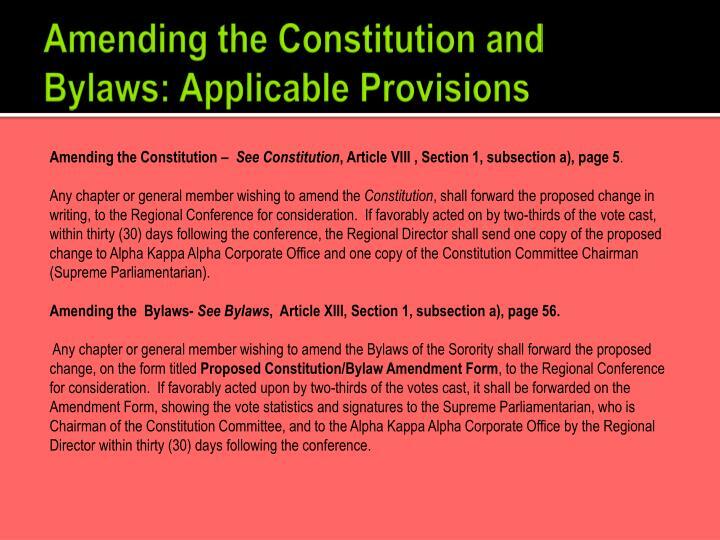 If the recommendation is approved by two-thirds (2/3) vote of the votes cast, the Regional Director must forward the recommendation along with the transmittal form to the Alpha Kappa Alpha Corporate Office and to the Chairman of the Constitution Committee (Supreme Parliamentarian) within thirty (30) days following the Regional Conference. 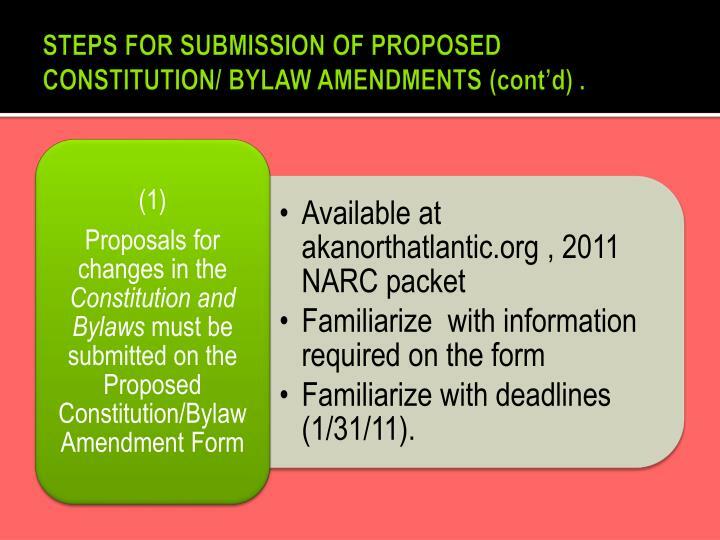 STEPS FOR SUBMISSION OF PROPOSED CONSTITUTION/ BYLAW AMENDMENTS (cont’d) . 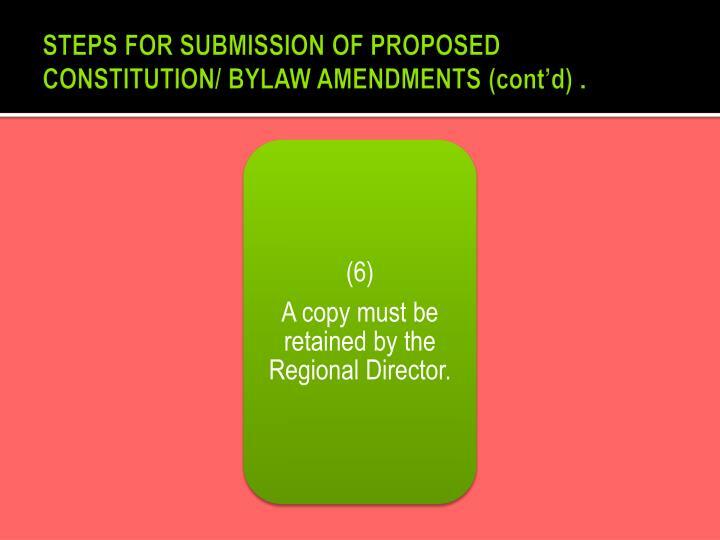 A copy must be retained by the Regional Director. 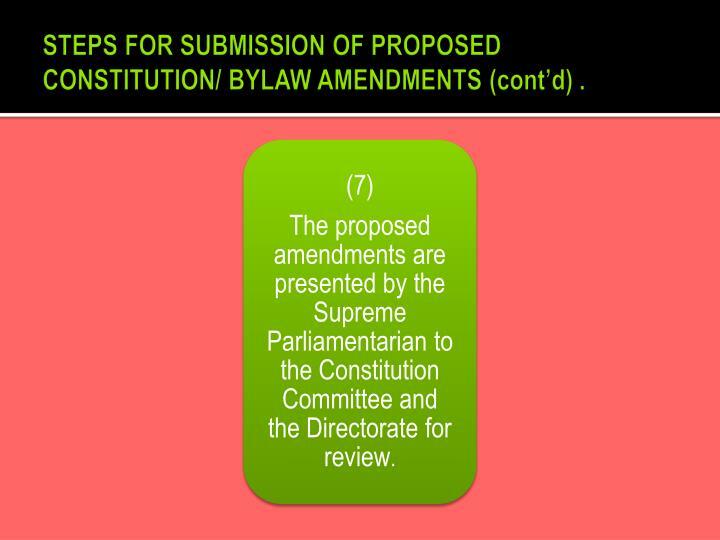 The proposed amendments are presented by the Supreme Parliamentarian to the Constitution Committee and the Directorate for review. 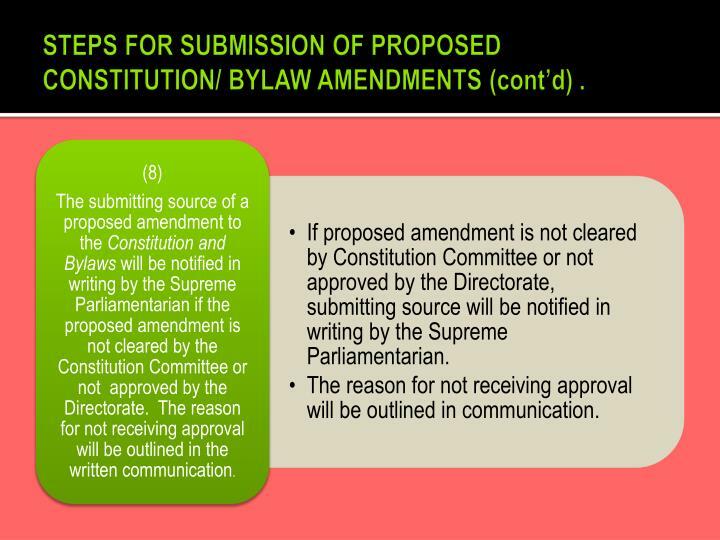 The submitting source of a proposed amendment to the Constitution and Bylaws will be notified in writing by the Supreme Parliamentarian if the proposed amendment is not cleared by the Constitution Committee or not approved by the Directorate. 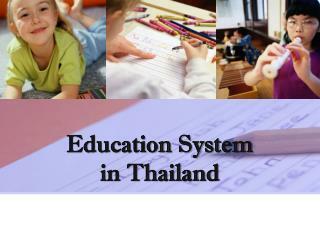 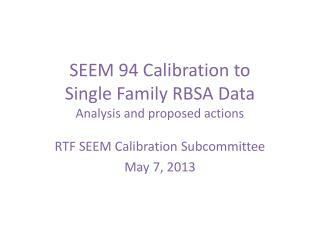 The reason for not receiving approval will be outlined in the written communication. 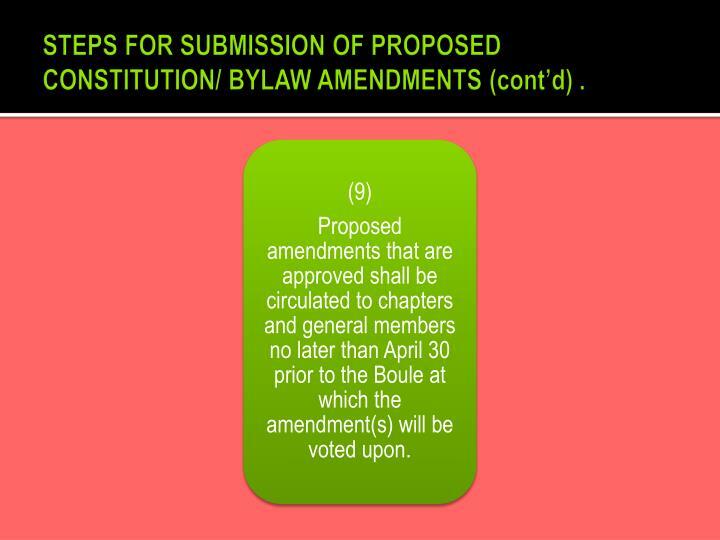 Proposed amendments that are approved shall be circulated to chapters and general members no later than April 30 prior to the Boule at which the amendment(s) will be voted upon. 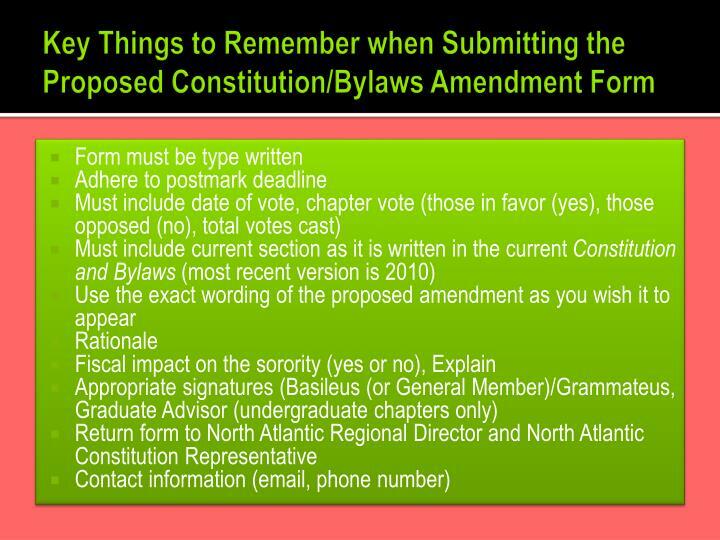 Voting on proposed constitutional amendments shall be by mail. 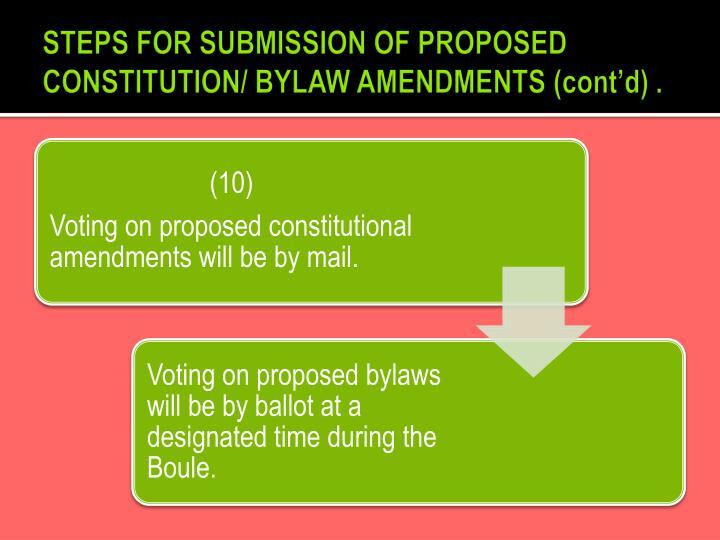 Voting on proposed bylaw amendments shall be by ballot at a designated time during the Boule. 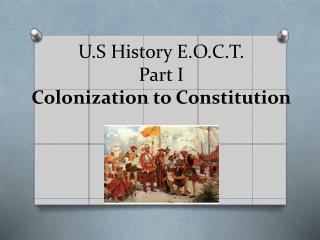 U.S History E.O.C.T. 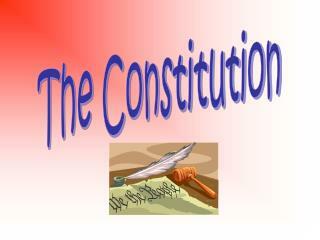 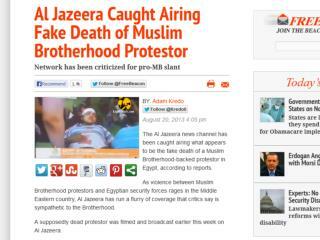 Part I Colonization to Constitution -. 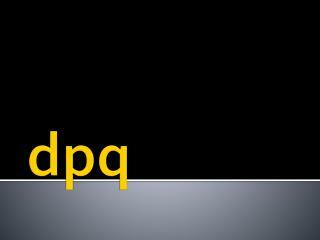 domain i standards 1 - 5. settlement of north america in the 17 th century. 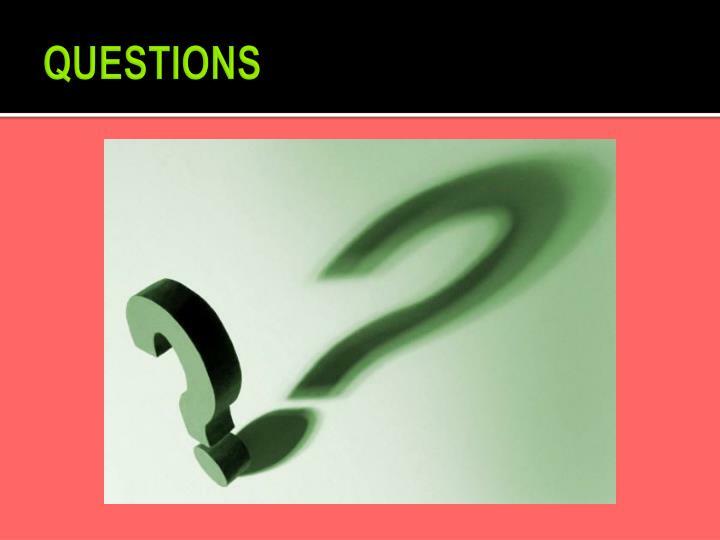 the economic and social development of british north america. 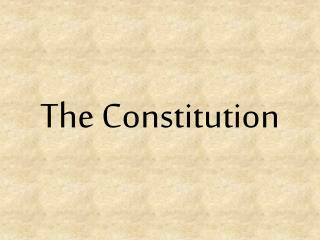 the causes of the american revolution. 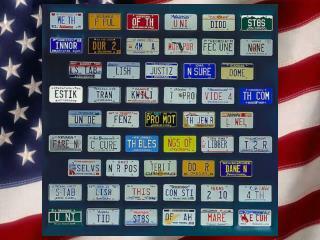 u.s.
U.S History E.O.C.T . 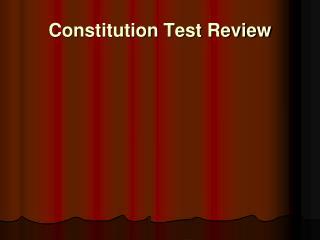 Part I Colonization to Constitution -. 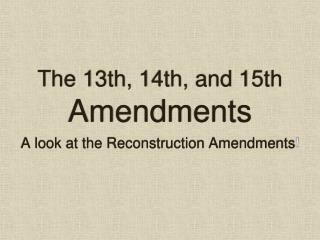 domain i standards 1 - 5. settlement of north america in the 17 th century. 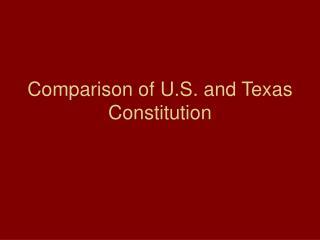 the economic and social development of british north america. 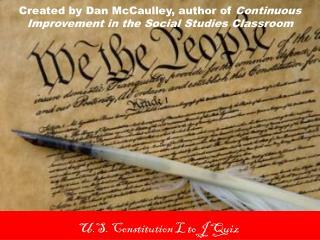 the causes of the american revolution. 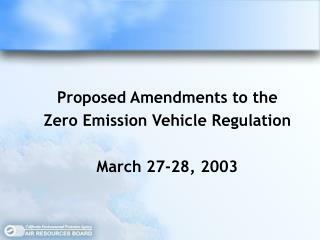 u.s.
Familiarization with the 2010 Manila Amendments -. 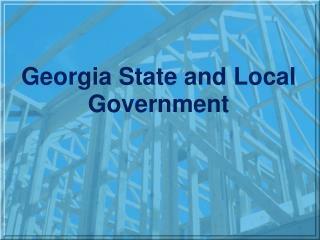 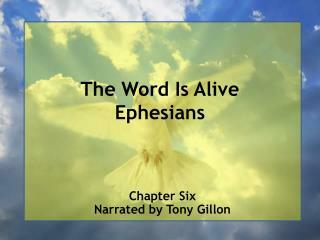 chapter i general provisions. 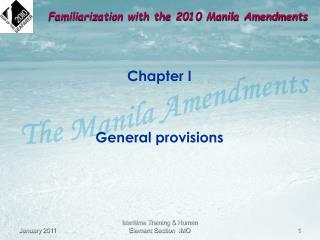 familiarization with the 2010 manila amendments. 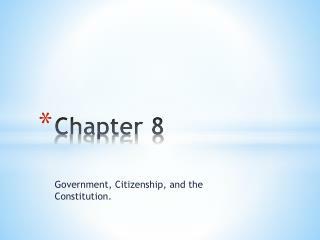 chapter i regulation i/1. 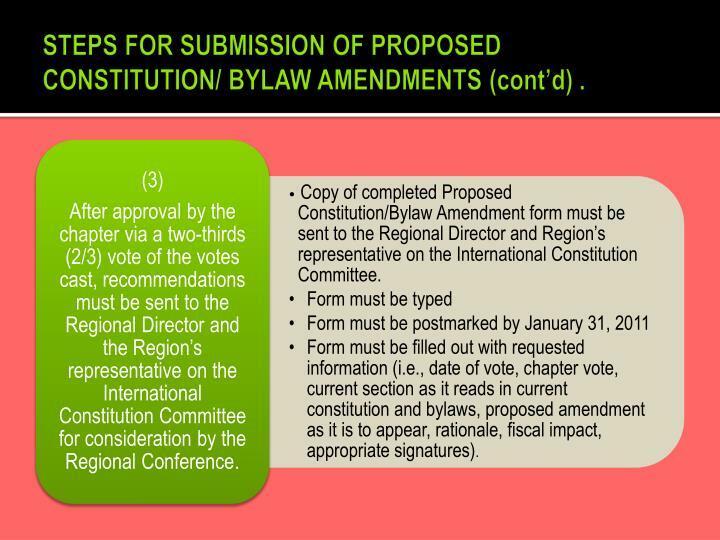 familiarization with the 2010 manila amendments. 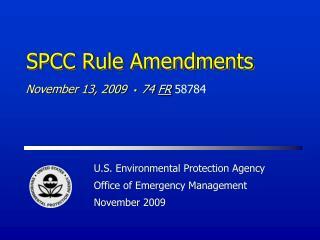 chapter i regulation i/1.